Yep I said it, Carson, CA. Some of you might be thinking…but there’s nothing there! And on most weeks you would be right. But every year for the past six years the StubHub Center has been the home of the CrossFit Games. The Superbowl of the CrossFit world. Where the fittest of the fittest compete for bragging rights…and a whole lot of prizes…who is the fittest men and women in the world. An international competition like no other. In many sports you have your favorite teams and there are rivalries which pit fans against each other. In CrossFit we may have favorites but at the end of the day we pull for everyone! It is one of the most uplifting and giving groups I have every been apart of. People want you to succeed. They may be competing against you but I guarantee if you ask them for hints on how to complete a workout they are more than happy to give you a leg up. No other competition is like that. It’s special and beautiful. As CrossFitters we boast to have the fittest fans in the world and if you attend a CrossFit competition on any level you will not be disappointed. CrossFitter love who they are. They love to work out, they give love and love to give. There is no body shaming. You do what you can do and we’re happy to help you as long as you are willing to help yourself. It’s a community of doers. Some of my best friends have come out of this community and some of the best people I have ever met. This festival of fitness brightened up an otherwise dismal part of California. Nestled on the campus of California State University, Dominguez Hills in Carson the Stub Hub Center welcomed a capacity crowd of close to 10,000! Which is amazing to see that just 10 years ago this event was held in Aromas, CA, on a ranch and welcomed around 1,000 total which included the competing athletes and staff. 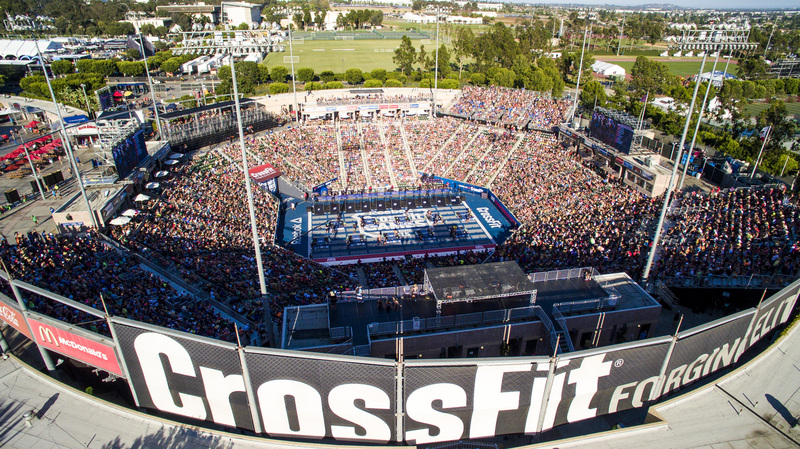 It’s true there may be very few reasons to visit Carson, CA but if you are able to and have the time at the end of July go to the CrossFit Games. It’s an environment like no other. If you’re hedging about purchasing a ticket (starting at $225/weekend pass), you can just stroll around vendor village and get the same festival feel of being in the action with jumbo trons set up around the area to keep you updated on the live events. I’m off to Austin, TX for the weekend. I’ll see you guys after. As always take the time to travel as you desire!